How would someone go about identifying chords quickly and efficiently? While sight reading, I would often come up to some strange chord and try to decipher it. It normally takes me (what feels like) ages to figure out what chord it is. I have seen other people look at complex chords and instantly identify it. What is the most efficient way to teach myself good chord recognition techniques? Learn to recognize intervals between notes quickly. For example, notes that skip a line or space are a third apart. Notes that skip seven are an octave apart. When reading a chord quickly, read the root/lowest note and then the intervals above it and place them in the key. With experience you will be able to recognize common voicings by shape alone. When you look at a chord, try to visualize, play, hear and name its simple inversions (basically putting the lowest note one octave higher, or its highest note one octave lower, you can repeat the process several times until you come back to the original chord). It will reinforce your sight-reading of intervals and shapes and you will be surprised how many chords in a piece are in fact related and close variations of each other. I am assuming that you already know the fundamental Major Chords for all the scales already, am I right? Now, just think in terms of semitones (or half-steps in American Terms) and sharps and flats. With only 9 formulas, you can create at least 144 chords. There is absolutely nothing complicated with forming chords if you do it this way. Now, for the final crunch! : Assuming you pressed F Ab C# E and you like the sound to fit that section of your song, then just take the F as your root note and know that F Major is F A C. With reference to that, find out what happened to the other notes: ie. 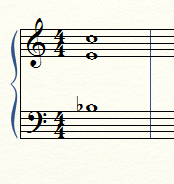 Ab is lower than A, therefore it should be a Minor; C# is higher than C, so it should be Augmented and E should be 4 halfsteps above C, so it should be Maj7. Putting it all together, it should be FmMaj7Aug5! Get it? Get this first. Then we deal with the 9th, 11ths and 13ths once you have grasped this. If not, you can always write to me for further clarifications. Something that's always helped me, particularly when learning specific-but-related-sets of items (such as notes and then chords), is to simply make flashcards. Writing things down (in general) seems to make a big difference in one's ability to recall that information. And, for me at least, this includes making flashcards. Recognizing the intervals between notes is very vital in understanding and being able to identify chords, but there is a lot more to it then that especially since you may play the chord in any voicing where the notes of the chord are not in an order you recognize and you may also only be playing part of the chord. To be able to identify chords efficiently, you need to understand the building blocks of them and be able to arrange them so they make sense. These three notes come together to make a chord. From bottom up, the notes are B&flat;, E, and C. Just by looking at all the intervals, you see B&flat; up to E is an augmented fourth (A4), B&flat; to C is a major second (M2) or major ninth (M9) depending on how you want to look at it and E to C is a minor sixth (m6). Looking at B&flat; as the root doesn't get you too far as you only have an augmented 4th and a major second which isn't a typically defined chord. However if you play with the order that you are looking at the notes, you'll see something very different. If we want to look at C as the root, then we have a major third (M3) from C to E and we have a minor seventh (m7) from C to B&flat;. Now if you look at typically built chords you see that we have everything we need to build a dominant 7th chord to get a C7 except the 5th which is omitted, but that is typical for the 5th. This may not be a common voicing for a C7, but you should be able to recognize it. Switching the order of the notes will help a lot when you don't really see what is going on due to the voicing and after practicing, you'll be able to rearrange the notes in your head no problem. 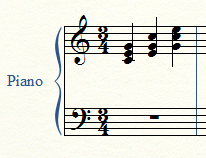 All three chords are a C major triad, but in different closed position voicings. The first is a root position where you have the root, third, and fifth of the chord in that order. The next is a first inversion closed position voicing where you have the third, fifth, and root of the chord in that order. The last is a second inversion closed position voicing where you have the fifth, root, and third in that order. If you spot one of these closed position triads, it's easy to identity the root and from there determining the chord will be much easier. When You see something like this: G7b5b9 - You play simply essential notes of G7 (would be 7th, 3rd, root - in order of importance). In "playing in the Band" - this method will be not very sophisticated but will not result in any "crash notes"
This way You need to recognize and be able to play major, minor, dominant, augumented and diminished chords. Afterwhile when You build up Your chord vocabulary - you will slowly start to add those b5 and #9 notes. Here is an article about how to spell any chord you want. That list will not help you unless you know how those chords are made or what they are used for. There is no shortcut for that other than just looking at a lot of music and asking specific questions when encountering something you have not seen before. Its like asking "how do I know what a word means in Spanish" but you don't speak Spanish.....You can look it up in a dictionary but there is a lot more to the language than just knowing that "gato" means "cat". To answer your question: The most efficient way to learn how to more quickly identify chords is by composing. When you compose in four voices, you are forcing yourself to analyze what you want to write, what comes next, and then going back and reviewing what you already wrote and making adjustments. When you create a chord from scratch, you understand what it is made of and how it became to be a chord; now take this on a higher level (building a harmonic progression, building a section, building an entire piece). This is most "efficient", I believe. However, if you are not a composer, and you do not have a solid grasp on theory, then it might be better for you to simply just practice sight reading. As others have said, you need to start looking at a triad as three notes, but as one "entity". Similar to how when you look at a bus driving by, instead of seeing every single window with every single kid inside, you see the bus as one single entity. When you look at a chord, all you need is to look at the bottom note (or top) and based off the actual physical shape of the chord be able to recognize what chord it is. If there are accidentals, then take that into account (While always remembering what key you are in). I know that sounds like a lot for the brain to process, but it comes with time and practice, just like everything else in life. Edit: Obviously as others have pointed out, knowing your intervals completely is an absolute requirement. Not the answer you're looking for? 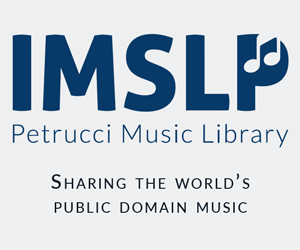 Browse other questions tagged piano theory chords sight-reading or ask your own question.